Note: WINNER of the Asahi Prize for his contributions to Japanese culture and RECIPIENT of the National Order of Japan in 1949. 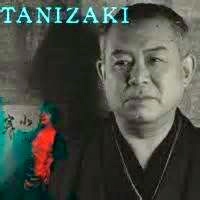 Tanizaki was the first Japanese to receive honorary membership in the American Academy and Institute of Arts and Letters in 1962. Junichiro Tanizaki (1886 – 1965), one of Japan’s most accomplished novelists, takes a new direction in this novel, his last. Here, in 1937, he describes the lives and cultures of a succession of Japanese house maids in a financially successful household. The novel’s time frame, 1937 – 1962, is obviously a time in which Japan faced some of its most dramatic changes, and these changes, as described by Tanizaki, were at least as dramatic sociologically as they were historically during this period. The class system was being dismantled, local languages and dialects were changing, movement from the countryside to the city and back was becoming relatively common, and a sense of independence among young women was emerging. Tanizaki saw it all, and while a previous novel, The Makioka Sisters, focused on those who lived comfortable lives, this novel focuses on those who helped make the lives of those people as comfortable as they were. These were the people who saw and dealt with the greatest changes – the maids who lived “below stairs,” as translator Michael P. Cronin describes them in his Afterword. According to the translator, this “novel” is also largely autobiographical in its descriptions of main characters Raikichi and Sanko Chikura, whose lives parallel those of the author and his wife, and whose maids, as Tanizaki himself explains in the quotation at the beginning of this review, are used as real models for the characters here. This change of focus and subject results in a dramatic change of style and tone which will be obvious to anyone who has read any of Tanizaki’s earlier work. Some will question whether this is actually a novel at all, since there is no real plot, and the chronological episodes which provide the action here concern themselves with a variety of characters, some of whom disappear with little warning. 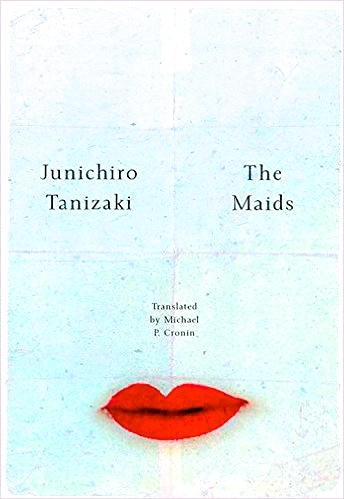 The conclusion, which illustrates the great social changes over twenty-five years and a new role for Chikura, and possibly Tanizaki, does bring closure regarding the lives of several maids, though the sociological changes and their illustrations make the conclusion feel more academic than personal or emotional. 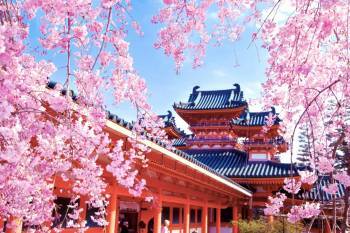 The Heian Shrine in Kyoto during the Cherry Blossom Festival. Raikichi and Sanho attend this. When the book opens in 1937, the author describes social changes even in the use of names, with the maids no longer being called “maids” or being called by their given names. Instead they are referred to as “helpers,” and use another name with “san” attached to the end. 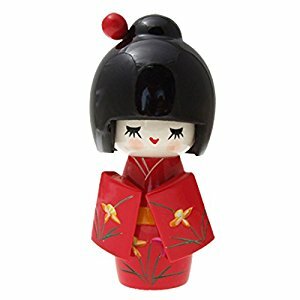 Often they use what we would call a first name with “ko” attached – “Sana-ko.” They do not use real names because their positions as servants might be insulting to their family name. Raikichi is fifty and his wife Sanko is thirty-three as the book begins. Her daughter Mutsuko from a previous marriage lives with them, as does her younger sister, Nioko. Though there are only four people living in their house, they always have at least two or three maids, and sometimes as many as five or six, a situation Raikichi justifies by describing the family’s women as “pampered young ladies who had grown up in luxury, and they couldn’t have managed without at least that many servants.” He is a kindly employer who likes to have these maids around the house they make it “bright and lively,” and he rarely has to dismiss anyone. Some of the girls who become engaged even have their engagement parties at his house when their families live far away. 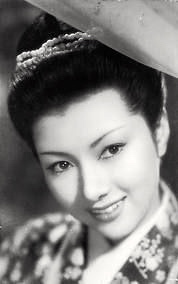 Takamine Hideko, a famous movie star, is the obvious model for Takane Hidako, for whom one maid works here. Following the war, a number of the maids return home to seek marriages, and the love story of a maid named Gin, her boyfriend Mitsuo, and a rival for his affections, Yuri (Lily), unfolds here in detail. Tanizaki uses this opportunity to describe issues of gambling addiction, how families and friends respond to it to try to save the victims, trial marriages, and even, eventually, a maid getting a job with a famous movie star and becoming arrogant. Despite all these episodes, the “novel” feels more sociological than dramatic. There is no real plot. The three novels I have already read by Tanizaki – Some Prefer Nettles; A Cat, A Man, and Two Women; and Devils in Daylight reflect Tanizaki’s high awareness of drama and how to create and develop it through plotting, along with his psychological astuteness, his dark and ironic humor, and even his eroticism. In this novel, which was published in installments in a Japanese newspaper in 1962, his purpose seems to have been, instead, to seize the opportunity to talk to his readers about the changes to Japanese society that he has noted over the past twenty-five years. While this is often intriguing and even fascinating, new readers to Tanizaki will want to start with one of the other Tanizaki novels previously reviewed on this site to get the real flavor of his writing.